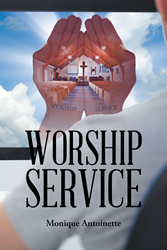 Recent release “Worship Service” from Page Publishing author Monique Antoinette is both heartwarming and enthralling; it gives a closer look at the author’s mind, heart, and soul inspired by God’s love and grace. Monique Antoinette, a devoted writer who, although born with cerebral palsy, did not let her condition stop her from being creative and strong, has completed her new book “Worship Service”: a captivating compilation of poetic narratives that proclaim life’s astounding beauty and God’s divine providence. Published by New York City-based Page Publishing, Monique Antoinette’s captivating account mirrors the author’s profound wisdom gained from overwhelming experiences, wherein despite their dejecting nature, she found strength in the empowering benevolence of God. Antoinette allows the readers to look into her spirituality, and find inspiration in her poems. Readers who wish to experience this evoking work can purchase “Worship Service” at bookstores everywhere, or online at the Apple iTunes store, Amazon, Google Play, Kobo, or Barnes and Noble.